Re: Carlie Wood if She Could Part 10. Did anybody catch her snap chat the other day where Jackson was already wearing his wedding ring! What the heck?? Carlie wore her wedding band the day after they got engaged. Yeah, she's been wearing it pretty much since May, and Jackson has been wearing his since late summer, hasn't he? It was mentioned way back in this thread. Weird, huh? I mean, we've all known bridezillas, but I have never known any guy that has worn that band one second before he had to. And that's not meant as a sexist comment. It's not a slam on guys. It's just that I really truly have never met a guy who wanted to wear a ring before the ceremony! scones wrote: I bet she is embarrassed (sub-conscious or not) about the fact that she is un-married with a child since she's been brought up to think that way, and I'm sure feels that sort of judgement from people around her. Yes, especially in a Mormon town like Pocatello. I'm not Mormon, but moved to Pocatello for work when I was 25. One of the first people I met at work (an older Mormon lady) asked if I had moved to town "with my family." I immediately thought, why the heck would my parents move with me? Then I realized she was asking if I had a husband and kids. It's been mentioned that Carlie was considered an outcast for being a single mom and having a failed non-Mormon marriage. I'm sure she was! If you aren't living the Mormon Dream in Pocatello you are considered weird and an outsider. I'm so glad I got out of their after a year!! 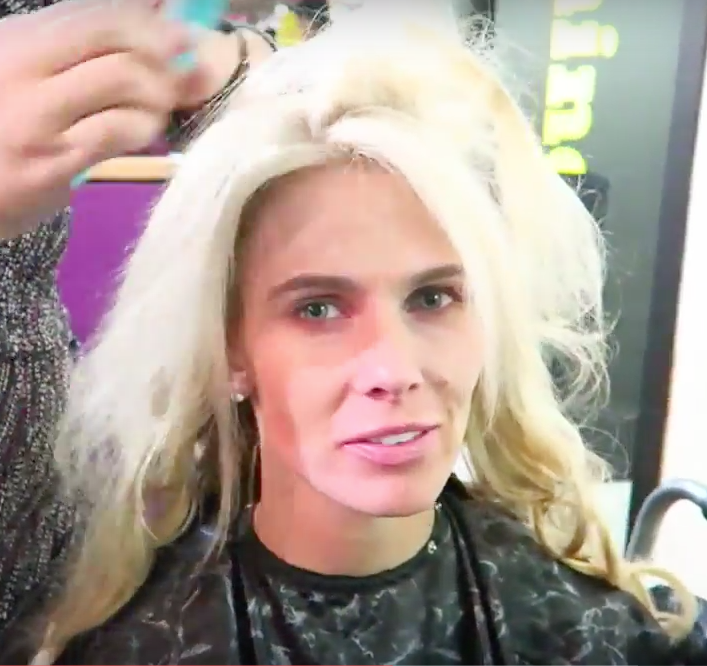 Carlie's hair was a HOT MESS in Logan's vlog today. Carlie looks like Logan in a wig in that pic. She has the flu. Someone said it's a good way to lose weight, not that she needs it, lol. Someone else said Cooper and Jackson need to drink 100% grape juice so they don't get it. Carlie said Jackson's taking care of her. Wonder who's helping her at night since he "doesn't live there."